People with special needs are a vital part of the Jewish communuity. 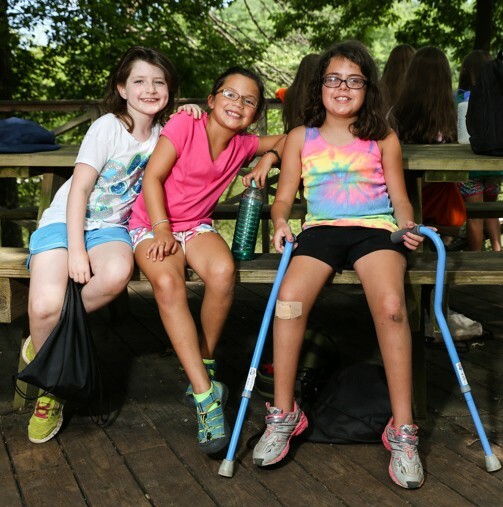 The Jewish Federation is proud to support programs that foster friendships and provide therapeutic, spiritual, and educational enrichment for them – including summer camp and summer camp scholarships. The Friendship Circle of Central Jersey, based in Manalapan, pairs teen and adult volunteers with young people who have special needs for social and educational experiences. The organization was founded with the goal of promoting a greater awareness and understanding of both the unique needs and the unique gifts of people with special needs, and encourages respect and empathy for those facing challenges. Based at the shore, Hand in Hand pairs teen volunteers with children who have special needs, forging loving friendships that enrich the lives of both. Through a broad spectrum of creative programs and social and Jewish activities, the children experience the special warmth of their heritage and the joy of positive social interactions with their teenage friends. Yachad, based in East Brunswick, enhances opportunities for individuals with special needs to participate in the full spectrum of Jewish life by bringing them together with their mainstream peers for socialization and opportunities to learn from one another. Yachad also offers a Parents Support Group. Bridge Academy is a division of The Special Education Academy of Deal, located in Eatontown, NJ. The school has been working with students who have developmental, learning, and cognitive challenges for 12 years, helping many transition into mainstream schools. Its pre-K through eighth-grade classrooms are organized not by age, but developmental levels. The school, which operates in keeping with Orthodox Jewish practices, priodes itself on how many students it enables to move on as they gain in understanding and social adaptation. The Jewish Federation's Stolzer Family Endowment Fund enables young people with special needs, through age 21, to have a summer camp experience tailored to their needs while sharing in the warm Jewish and joyful community camp creates. Applications for camp scholarships are due by April 15 for the coming summer. For questions, contact Rosalyn at rosalynp@jewishheartnj.org or call 732-588-1800. Young adults age 18-26, who have spefcial needs, are invited to see Israel first-hand. This free, 10-day trip with a group of your peers is compliments of Birthright Israel and its funders, including the Jewish Federation. Several Birthright operators offer special trips to accommodate those with physical or developmental disabilities so they too may form bonds with the people, ideals, natural beauty, and culture of Israel. Shutaf is an inclusion program in Israel offering summer and vacation camps, and after-school programs, for young people with and without special needs. Typical children enjoy together time with those who have special needs, typical and special needs siblings share in care-free fun, and the entire Shutaf family looks forward to summer and school vacations for their special time together.